Released in 1991 and one of the longest-running series in the fighting-game genre, this title introduced players to Terry Bogard, Andy Bogard and Joe Higashi. Select one of the three and visit many locations as your chosen fighter engages in numerous street fights around the fictional city of South Town. If you're good enough, you'll eventually take on Billy Kane and then his boss, the notorious crime lord Geese Howard. 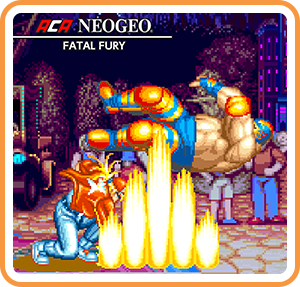 Where can I buy ACA NEOGEO FATAL FURY physical/digital?